Uto Karem takes the 2012 release “Disco Diva” and updates it with a modern 2013 flair. The track bursts open with a banging groove and clap. About two minutes in, the soulful dark vocal sample begins, taking the track to a different level. The track progresses nicely, with a midway break before picking up again. A nice addition for your next 4 am set, bringing a mystical feeling to the room. Out now on H-Productions. Get it here! Words cannot described how excited I was to see that the latest Drumcode release not only features Adam Beyer tracks but is in fact a set of collaborations between Adam and his partner, Ida. I’m relatively new to the Techno scene, but I always eat these releases right up. 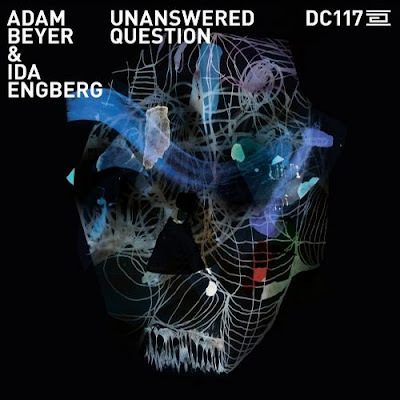 “Unanswered Question” is an aptly named track that upon first listen is immediately recognizable as an Adam Beyer track. The signature double pronged kick makes an appearance throughout the track while the almost dirtybirdesque synth adds dynamism. The unanswered question vocal sample serves as the name of the title track. The two remixes don’t do it for me – I prefer the original track. Rounding off the EP, we have “Virga” (again a collaboration between Adam and Ida). Virga has a very different sound than the typical Drumcode release – it’s a much lighter track, and reminds me of Cirez D a bit. The kick takes a backseat to the driving hihat and synth line. Another set of strong releases from Drumcode, as we wait for Adam and Ida’s forthcoming release “You Know” on Truesoul. Out now on Drumcode. Get it here!